Hawaii lawmakers have proposed an online gambling bill that would permit casino games, lotteries and poker in the Aloha State. Hawaii currently has no legalized gambling and is one of only two states, Utah being the other, that have never enacted laws that allow residents to gamble. Utah will likely remain a non-gambling state, having passed legislation last year opting out of any Internet gambling regime that may take hold in the future on the federal level. But the recent introduction of SB 768, if approved, would allow Hawaiians aged 18 and above to partake in online gambling. Senators Malama Solomon, Donovan M. Dela Cruz and Gilbert Kahele are sponsoring Hawaii’s latest attempt at Internet gambling legislation, proposing that the state create an Internet Lottery and Gaming Corporation that would regulate the industry. 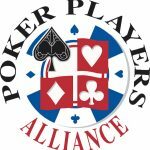 The newly-created state organization would select an experienced private online gaming provider through an application process to work together in offering online games to gamblers. Those wishing to apply to provide online gaming services would be precluded from tossing their hat into the ring if they had accepted online wagers from U.S. players before Sept. 20, 2011. On that date, the U.S. Department of Justice ruled that the Wire Act pertained only to sports betting, but did not release its findings until December of the same year. SB 768 specifically prohibits wagering on sporting events. The proposal points out estimates that show Hawaii residents numbered in the tens of thousands currently gamble online in an unregulated industry that provides no protection for consumers. The gambling sites visited are typically in offshore locations that reap the monetary benefits that could instead stay within Hawaii and generate much needed tax revenue. 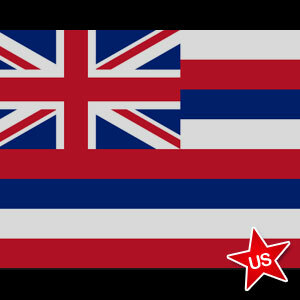 SB 768 would allow Hawaii to enter into agreements with other states that have also passed online gambling legislation, increasing liquidity for online poker. Nevada’s current statute permits only intrastate wagering in its online poker format that is set to go live within a few months. However, a recent amendment proposed by Silver State lawmakers would allow for interstate compacts, as well. Hawaiian legislators have proposed countless gambling bills throughout the state’s history that have never managed to find enough support, including several measures last year. 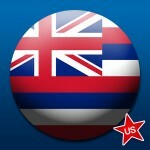 But with many state legislatures such as Iowa, New Jersey, Mississippi and California currently considering recent Internet gambling proposals, the time may be right for Hawaii to shed its image of a non-gambling state and get into the action. Should the measure pass this year, revenue would be directed toward several needed programs such as preventing problem gambling, outstanding loan repayments of medical students who devote at least 10 years practicing in the state, the public school system, and the University of Hawaii.